This unique bronzer isn't just the boring single shade we're all used to - no OFRA have expertly combined four stunning colours into the one compact for the most versatile bronzer ever! The OFRA 3D Pyramid Egyptian Clay Bronzer is made up of three bronzing shades and a luminous highlighting shade that can all be swirled together to create the most gorgeous sunkissed glow you've ever seen! Simply brush over the cheeks as you would a regular bronzer or try something new and use each colour individually for more versatility. They can even be used as shadows on the eyes for a beautiful neutral look. OFRA have used only the best of the best in their Egyptian Clay Bronzer with pressed pearl pigments and baked technology that gives the powder itself the utmost pigmentation. This product applies like butter on the cheeks and stays all day. 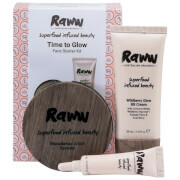 Four shades that create a gorgeous glow or can be used individually as you wish. 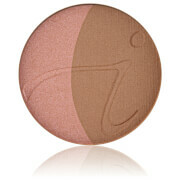 Baked technology gives the powder itself ultimate pigmentation. 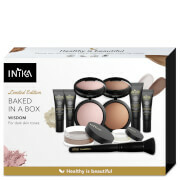 All stored in an easy to use portable compact. Taking a powder or blush brush swirl around in the product and apply to the face. Instead use each colour individually by applying with a small eyeshadow brush.